The development was being sold at $2.4 million but is now being sold at only a fraction of that. Over $1.4 million invested. Would like to sell before winter. Asking $1.5 million or best reasonable offer. 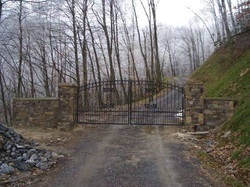 Build your retirement or vacation home at the top of the mountain overlooking the 'Smokey Mountains"and sell the rest of the lots and regain all your investment plus make a profit. This is one of those rare deals offered due to economic times. Large Wooded Lots in the natural beauty of the Smoky Mountains, North Carolina. Gorgeous wooded lots are the norm in Peak's Bald Estates. With the large lots there is plenty of room to spread out and relax. From your porch you may even catch a glimpse of some of the local wildlife. Currently, the development is comprised of 29 1+ acre lots, each with great views of the Great Smoky Mountains Park. Location: Bryson City/Alarka on Big Bench Rd. Electric and phone are underground to each lot. All lots have three bedroom septic permits completed and approved by county. Development backs to the National Forest - 12 of the lots actually sit on the ridgeline! All roads are completed - gravel. 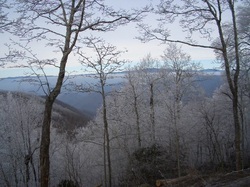 Some of the highest available property in Swain County over 4500'!! All 29 lots are surveyed and deeded. * Elevations are approximated using current survey information and can represent one value over a large range per lot. Details & Original Asking price. Diverse Rich Heritage in the natural beauty of the Smoky Mountains, North Carolina. Located near to the adventurous town of Bryson City. Peak's Bald offers a wide array of outdoor activities. The area has earned national recognition as the "Outdoor Adventure Capital of the Smokies." Sports Afield magazine, in its annual "Top Fifty" rankings, twice named Bryson City the best outdoor adventure location in North Carolina. It has also been named one of the nation's "Top 100" places for outdoor enthusiasts to live by Outdoor magazine. Also near is the popular Great Smoky Mountains National Park. Within the park's 550,000 acres can be found more types of plants, tress, and flowers than in the whole of the European continent. 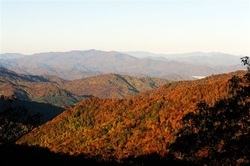 The western North Carolina Smokies retain much of their rural atmosphere and lack the intense development found in adjacent areas like Tennessee. Excellent back roads and hiking trails traverse the entire western North Carolina area and offer Glimpses of the Smokies not seen from major roads. According to legend, the birthplace of the Cherokee Nation was a place called Kituwah. Today the Cherokee once again control this vital area of their heritage. The Eastern Band of the Cherokee Indians live on the Qualla Boundary in Eastern Swain County.